If you have prayerfully considered a change in your gift, or an addition to help us all meet our Transformation Goal of 6 million, you can fill out a supplemental pledge form! Or if you haven't yet pledged and are ready to, you still can! You can download the pledge form, or complete it online below, or grab a form from either church entrance, or from the Parish Office. If it's a supplement to your original pledge, just jot a note somewhere on the form. If paying with stocks or bonds, please contact the Parish Office at (414)258-2604. A continued THANK YOU to all who have made a pledge! Please be part of Christ King’s future! The app eal progress, thanks to so many of you, has been extraordinary. At this point, our final goal is to pay off our existing debt and, if possible, set aside additional reserves. When the debt is paid off, we can redirect those payments right into permanent staff salary increases. I am excited about the time we make that happen! Please participate, in whatever way you can. Don’t think your pledge is too small. We have arrived here because so many of you have given what you can. The positive stories you have shared about this appeal are inspiring. Scroll down to see a handful of them. Thank you for a truly amazing "Celebration" weekend on Friday, January 25 through Sunday, January 27! 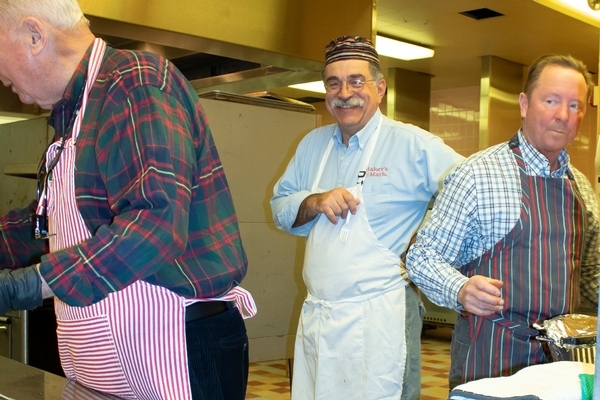 Thanks to John Pernice and friends for the monumental task of the spaghetti lunch, and the work and coordination of the Knights of Columbus, as well as staff and other volunteers who did so much. What a fun afternoon as we gave thanks for the food of Jesus in the Eucharist, and then enjoyed time as the Body of Christ in community. And thanks to all who supported the popular annual 40 Hour Adoration & Devotion. Once again, the peace that envelopes this campus during that time is palpable and real. A focus on Jesus is when we are most alive as human beings. Let’s continue that in every moment of our lives. Thanks to Cindy Schmidt who helped organize this, and those who assisted her in making this happen. A note received from a parishioner who hasn’t attended Mass in many years; It is a reminder of the devotion of those who came before us, and the love they showed for those who would come after them, and their continued commitment to the Church. Comments shared to us about the unique ways God responds to our prayers and our stretching ourselves; Be bold before God and be part of an exciting story yourself through your continued participation in the appeal. Christ King's School Council members organized a bake sale, selling nearly $350 worth of baked goods, which they then donated to the appeal! At .50c a piece - that was just about 600 items sold. WOW!! Girl Scout Troop 3347 received the Marian award this past December. The girls expressed their gratitude for the foundation Christ King has provided them and gifted $500 to the appeal from troop monies earned and saved over the years. This was very touching and we are so grateful! Due Diligence on our Parking Lot Project: Christ King parishioners Josh Mount, Charlie Webb andPat Hutchinson checked the depth of the existing pavement and the gravel base underneath it in seven locations. The purpose of doing this now is to 1) ensure we don’t need to excavate soil and bring in additional gravel base, which would be expensive (good news is we have enough gravel base to work with), and 2) the plans we give to the contractor will reflect the info we collected which will reduce their “surprise factor” when they begin work. It allows them to more accurately predict what their hauling and disposal costs will be. If we did not provide the information they would likely make an assumption in their bid that would be lower than the actual amount and they would come back with a claim later. Basically, we are taking the risk out of the future bidding and change order process. Typically, you would hire a geotechcompany to provide this information. The purpose of us doing it is we probably saved about $1,500 - $2,000. Click here to read. Check back for updates throughout the Appeal. Why are we doing a capital appeal and why now? It has been 10 years since we have engaged in a capital appeal and now is the time to address the deferred maintenance that is expected of an 80-year old home. 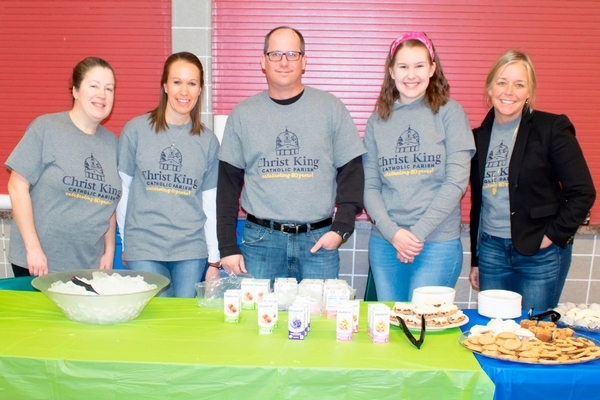 With its mission of ministry and service to others, Christ King Parish is a pillar of Wauwatosa and the greater Milwaukee area. Only by addressing the needs of our parish campus are we able to effectively continue and enhance this mission of service and ministry. Will the Christ King community support a capital appeal at this time? In 2017, Christ King leadership engaged an outside consultant, VisionWorks Fundraising, to assess potential support for a capital appeal. 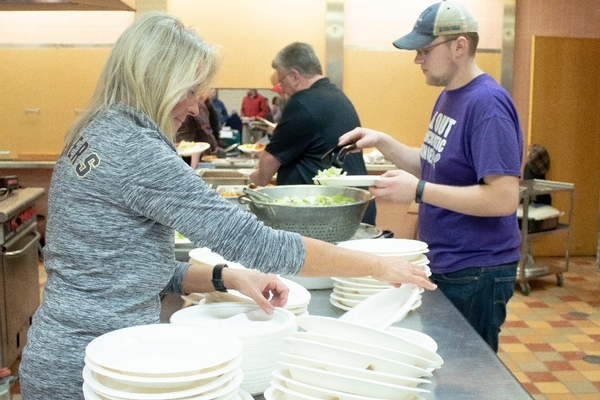 After interviewing a multitude of parishioners and holding open focus group meetings last fall, the study revealed that 4 out of every 5 adult parishioners surveyed support moving forward with a capital appeal at this time. The overwhelming support is rare in a feasibility study and represents a broad consensus amongst our community. It also reflects your love and support of the parish as a whole, and your commitment to maintain and enhance our beautiful church, school and other places of worship and ministry. How do we prioritize projects within each goal category? Each project was carefully assessed by parish leadership, appeal leadership and a desire to include a diverse range of projects in each category. The projects will be completed based on funds available and factors such as need (e.g. the church air conditioner may fail very soon and require an immediate replacement). How do we determine a budget for each project in the capital appeal? Planning for these projects has happened very slowly so as to exercise transparency and due diligence. This is important for parish leadership and is central to the appeal. Significant leg work will be done by parish staff and the Buildings and Grounds Committee on the projects included. Experts from both within and outside of the parish will be consulted to ensure proper planning and that estimates are as accurate as reasonably possible. Do we intend to take on debt to complete these projects? With your support, we do not intend to take on additional debt for these projects. Instead, projects will be completed in a fiscally prudent manner so as to maintain and improve the parish’s financial stability. How will funds be allocated? 100 percent of all funds will be restricted for the projects identified in this appeal. How will we donate to the capital appeal? Successful and rewarding capital appeals have a strong stewardship aspect to them. In our case, we have combined the appeal and our annual stewardship renewal to make them both stronger. The appeal gift is an additional, sacrificial gift to ensure the long-term health of the parish, in recognition of those sacrificial gifts others gave for our benefit. The capital appeal pledge cards will include both appeal and the yearly stewardship commitments to minimize any confusion. We hope to complete the appeal fulfillment period in three years or less. Can we meet our goals? us helped build the beauty that we see before us today; such beauty raises hearts to God and draws in parishioners and visitors to contemplate the many other gifts the Church possesses. It is our turn to evangelize, by ensuring this beauty and this mission is healthy for generations after us. How did we decide what projects to include in this capital appeal? Preliminary work by parish staff and buildings and grounds found projects ranging from “need” to “want” of an aggregate cost in excess of $15,000,000. After considerable reflection of all projects, and with input from many parishioners and outside experts, those projects with the highest need and that will contribute to our current growth are included in this appeal. When the organ is replaced, will there be other forms of music at Mass? The parish utilizes many instruments in sacred worship, including the organ, piano, guitars, bells, violin, and other instruments. These tools meet a variety of needs and enhance our celebration of the Eucharist and have become a normal part of the parish’s musical life; this variety will continue. What will be addressed in the school updates? 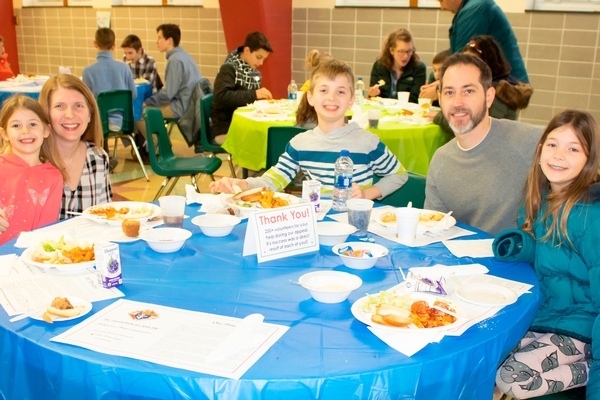 Our school is an important tool of evangelization and our parish school is blessed with excellent staff who instill high academic standards and place a strong focus on discipleship and Catholic formation. In order to maintain this level of excellence and continue our ability to attract capable teachers and families into the future, we must invest in the school while ensuring for the overall health and safety of our youngest parishioners. Planning updates include replacing the flooring in most of our classrooms, adding air conditioning to the gym, adding more computers for instructional use, new water fountains, a wireless network upgrade, adding a high-quality sound system to the gym and various safety enhancements. Why and at what cost are we replacing the parking lot? The parking lot has moved beyond the point where a resurfacing will adequately fix pressing issues of stability and safety. Based on engineers’ recommendations to replace the lot to correct issues of cracking and drainage, we will remove the existing pavement and regrade its pitch to ensure proper water flow and reduce future instability. This will be accomplished by correcting the base layer underneath the asphalt prior to placement of the new asphalt. For enhanced security and community appeal, the chain link fence will be replaced with a wrought iron style fence and enhanced lighting to add an element of security that is currently not present, particularly at night. The increased level of safety will benefit every member of the Christ King community, from the children attending school, to the nightly small group member, to those attending daily and weekend Mass. Proper due diligence was completed and a large contingency amount is included in the cost estimate of $780,000 to properly account for yet-to-be-identified issues and/or costs that may surface during the project. Have we financially committed to any project already? Yes. Based on considerable due diligence and consultation with our outside fundraising consultant, including the fact that over 84 percent of adult parishioners expressed their support for the appeal at this time, parish and appeal leadership is confident that we will exceed the Celebration Goal of $3,500,000. Many of the items under that goal (the parking lot and the organ) require an advance commitment of some form to allow for proper planning and implementation. The parish has not committed to any projects in the Challenge or Transformation Goals, though we will continue to hope and pray that we exceed those goals as well. What is included in the outreach portion of the campaign and why is this part of our capital appeal? St. Paul wrote that the plentiful are “to do good, to be rich in good works, to be generous, and ready to share.” As such, this capital appeal will follow the name of our campaign “Living the Call, Sharing God’s Gifts” by sharing a 5 percent portion of our success as a gift back to God. This is in addition to the charitable outreach the parish already gives as part of its annual budget. Some of this money will be directed to our St. Vincent de Paul conference that services our neighbors in need, as well as other charitable groups that assist the poor. In some exciting news, the Archdiocese has asked Christ King to consider a twinning/sharing relationship with All Saints Parish (on the north side of Milwaukee). A portion of our appeal funds raised will be dedicated to establishing that new relationship. What is endowment fund completion? Christ King currently has several endowment funds. 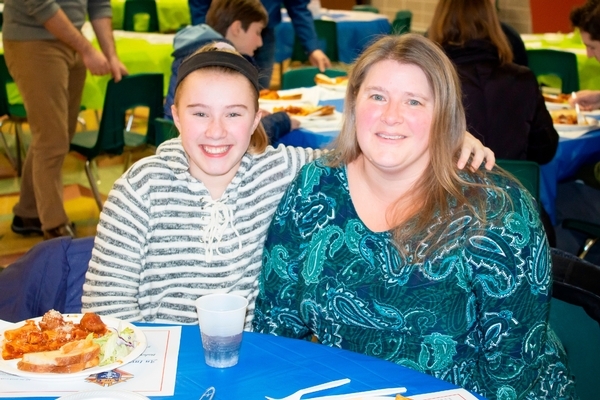 The newest one, the Capital Improvement Endowment Fund, was formed at the parish’s 75th anniversary and has a current balance of approximately $250k. The intention of this goal is to add to the endowment with a target principal investment of $500k. 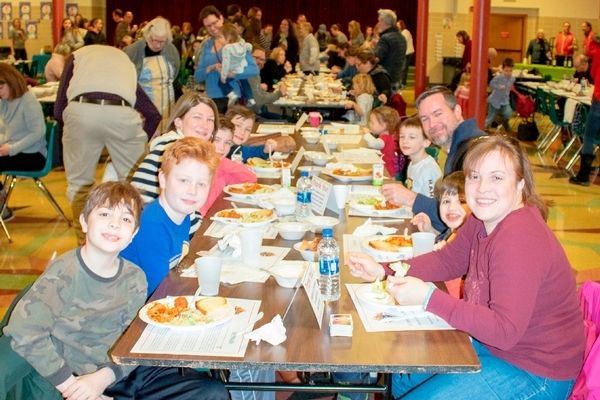 Once we reach $500k, we will be able to use interest and dividends generated by the endowment to supplement the parish’s annual operating budget without touching the principal balance of the endowment. This supplemental income each year will allow us to complete additional maintenance and projects at the parish as needed. Why is loan repayment in the final category? The parish holds a loan from necessary parish and school improvements completed nearly ten years ago. The loan carries an extremely favorable interest rate thanks to the parish refinancing at various points. The loan payments are made through existing financial stewardship and are part of our annual operating budget. Economic conditions the last several years, with the low interest rate, mean the loan is not the burden it would be under different economic circumstances. We hope to reach our Transformation Goal and to pay off this loan and use the stewardship dollars to increase staff salaries. However, responses to the feasibility study indicate muted interest in paying off the loan, given current economic circumstances. This is why it is part of the appeal, but in the last category. Who is VisionWorks and what is their involvement? An endeavor of this scope requires professional expertise. Parishes that choose not to use a consultant often do not succeed in their efforts. Christ King interviewed three well-respected development firms before choosing VisionWorks. VisionWorks is a strategic planning group out of Omaha, NE that partners with organizations of all types to plan and grow for the future. 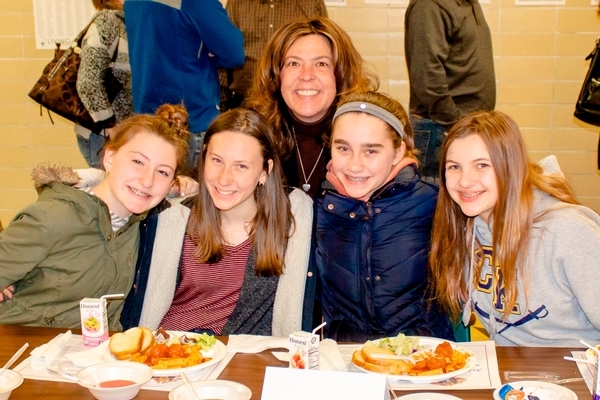 Prior to assisting us here at Christ King, VisionWorks assisted in strategic planning and fundraising efforts for several other parishes throughout the Archdiocese of Milwaukee, most recently conducting a successful campaign at St. Alphonsus Parish of Greendale. Throughout the research, planning, and launch process, our consultant Mark Filips has provided invaluable direction and assistance in ensuring a positive campaign. What are the plans for the church lighting? We are working on the original 1956 wiring in the church which has limited our lighting options. Improvements include updating wiring and converting to LED lighting while still using the existing chandeliers. In doing so, the energy costs for the church will be lowered, while we will be able to enhance the current lighting profile. What are the plans for the roof? Throughout the entire campus, Christ King has many different roofs, most of which are original. These roofs are not well integrated and there are areas of water leakage in all of the buildings due to both age and design. The new plan calls for repairs to go further than the patches that are currently taking place, often unsuccessfully. We will replace urgent areas of concern on the roofs, while also adding greater structural support for the church air conditioning utilities. The plan includes movement of the air conditioning units from the basement to the roof of the parish for both safety and structural purposes. This will enhance the efficiency of the air conditioning units and help decrease energy overhead. Why isn’t an increase in staff or teacher salaries included in this appeal? Since this is a one-time appeal, a potential allocation for staff salaries would eventually be extinguished. At that point, the parish would find itself having overextended ongoing payroll expenses, and cuts or layoffs would be necessary. Payroll is supported by your annual stewardship gift, so you always have the ability to increase staff salaries. However, if we reach the Transformational goal of $6 million, we can pay off our existing parish mortgage. The current annual loan payments of over $100k, part of the annual parish budget, can then be redirected directed towards raising the salaries of our teachers and staff. How quickly will the projects get done? The goal is to complete the projects as the fulfillment receipts allow. Goals that are prioritized by parish leadership due to need will be completed first, and will be started as soon as donations begin coming in. How does the $6 million dollar goal compare to capital appeals at other parishes? No two parishes are alike in size, participation, ministry, and demographics. 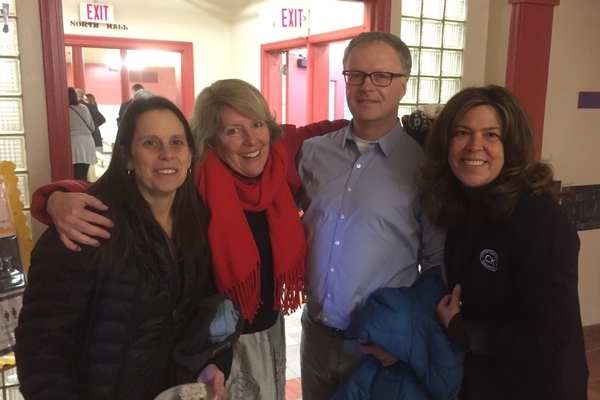 Based on the feedback provided from the data and focus groups of parishioners compiled by VisionWorks, the $6 million goal is commensurate with our needs and the present motivation of the parish at large. 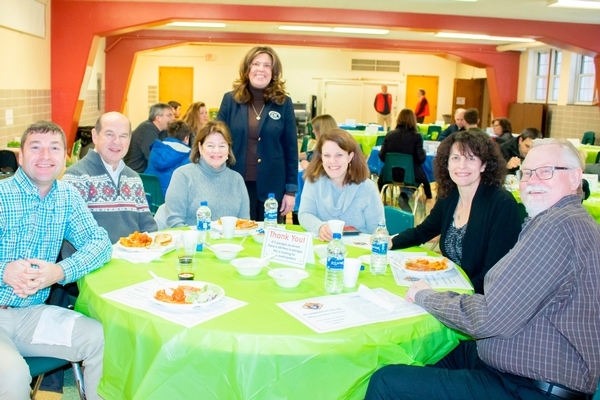 Christ King is a large parish, and parish staff and capital appeal leadership believe that the goal of the capital appeal is appropriate and reachable based on the needs of the parish and the support of the parishioners. What are the plans for the existing playground? The goal is to keep the playground in its current location, provided there is no structural reason it must be moved as part of the parking lot project. How will the fulfillment process work? Everyone is invited and expected to be part of this appeal, so as to take responsibility for the great needs of our parish. Over the next three years, efforts will continue to invite those to participate who have not responded to the call. Does the price tag for the organ include the speakers and sound system for the church? The organ is a true pipe organ and is custom tuned for our space and does not require any electronics or speakers. The electronic organ option (the cheapest option) would require a whole new set of speakers in the Church. The digital upgrade to our existing sound system completed this past summer (thanks to extra auction proceeds) allowed us to improve the sound quality and was an opportunity to reassess the system. Any alternative would require a series of speakers in the marble along the sides of the church. Since the hardware of our system has been judged to be sound for at least several more years, we won’t revisit this until that time. What are the timeframes to complete the different projects? 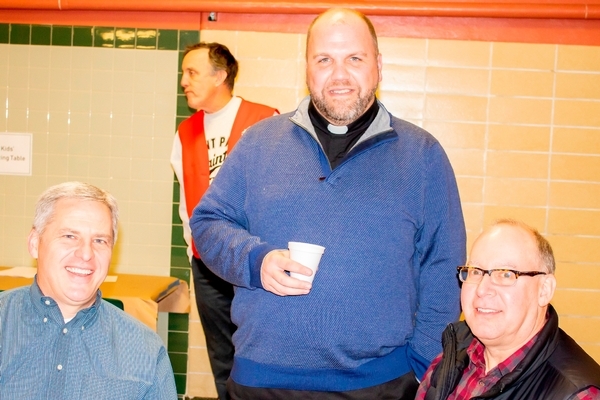 It is the goal of parish leadership to start projects as soon as fulfillment levels allow. Most of the projects are of an urgent nature and the hope is to be moving on most of them within the next two years. Will a loan be taken if we can’t get to all the goals? The plan is to do everything possible not to incur any additional debt. With broad parishioner support, this can be accomplished. However, emergencies that arise, and the timing of pledge fulfillment, may necessitate a temporary line of credit. Again, the hope is to avoid this at all costs. Why isn’t the current loan in the top tier? Especially if it meant we could give back to the teachers? The parish holds a loan from necessary parish and school improvements completed nearly ten years ago. The loan carries an extremely favorable interest rate thanks to the parish refinancing at various points. The loan payments can be made through existing financial stewardship and as part of our annual operating budget. Economic conditions the last several years, with the low interest rate, mean that the loan is not the burden it would be under different financial circumstances. We hope to reach our Transformation Goal and to pay off this loan and use the stewardship dollars to increase staff salaries. However, responses to the feasibility study indicate muted interest in paying off the loan, given current economic circumstances. This is why it is part of the appeal but in the last category. Further, if the loan were paid off first, these payments would not be available for staff salaries, as the remaining projects still need to be accomplished and may necessitate additional borrowing, which we seek to avoid. What percent of participation is expected? Are 80% of the funds raised expected to be raised by the top 200 families? Based on the research gathered by our external consultant, 84% of parishioners surveyed supported moving forward with the plan as outlined. It is the belief of appeal leadership that there is something in this appeal for everyone to get excited about and hopefully elicit a broad response reflecting that 84%. As in every capital appeal, there are those with larger financial means who will contribute larger sums of money. We hope that the lead gifts portion of the campaign will contribute around 60-70% of the goal. With that said, gifts of all values will help us transform our parish and reflect a shared sacrifice by those of all backgrounds and demographics. It is the hope that every single parishioner will step forward in the most sacrificial way they can to make this a success. Equal sacrifice is asked for, not equal gifts. Could a full disclosure of all the house visit questions and their answers be compiled and distributed? Questions asked by parishioners to parish leadership, appeal leadership, or lead gift representatives that are not of a personal nature, especially those that have common themes, will be posted on the parish website for parishioners to see. We believe this will improve transparency and limit confusion since the reality is many of us may have the same or very similar questions. Any additional questions parishioners may have regarding the appeal that are not answered in either the newsletters or on the website can be asked at any time, and we will provide answers as quickly as reasonably possible. Yes. Please discuss with us options that are best to help you consider a sacrificial gift. Was air conditioning for the school considered? Of the many needs present in the parish (over $13 million), air conditioning our school was considered. If this project is successful, the church, parish center, parish offices, and gym will all be air-conditioned. In the future, if parishioners are willing to pay for this exceptional cost, air conditioning can be expanded to the school. What is an “Atrium” for religious education? Can we not use our current spaces? An “atrium” is a central component of the Catechesis of the Good Shepherd methodology of teaching religious education to our children. The atrium is a dedicated space for this formation to take place and is not used for other purposes. The appeal seeks to set aside space in our parish center for one or several atria. Space limitations necessitate at least one wall being removed to create this space. The funding also accounts for materials needed for this program. What is a “sacrificial” gift? Increasing one’s personal income is not something anyone can do in a short span, or easily. All are being asked for a sacrificial gift, which means giving up personal luxuries or purchases that seem necessary, so as to offer a gift to God. A core concept of stewardship is that our sacrificial gifts to God are paid back to us by God in ways that are often more amazing than we can imagine. This takes tremendous trust in God’s love for us. Generations that built many of our parishes often took second mortgages, gave their retirement, and sacrificed to make possible the parishes we enjoy today. This kind of sacrifice is what is asked of us today through our Catholic parish. Will any funds be taxed or otherwise provided to the archdiocese? All funds for this appeal are segregated for the purposes listed in the case. They are not taxed by the archdiocese and not available for purposes outside our parish. Below find the two documents relating to the exploration of a potential capital campaign for the parish that were released in December 2017. See Fr. Phillip’s column in the December 3, 2017 bulletin for more information. The first was a letter inviting parishioners to one of two focus groups on December 6, 2017. The second document was a draft case of parish needs that were discerned by parish leadership and parish collaborative bodies.